The institution that has made remarkable contributions to medicine globally can be saved if steps are taken to restore it. India is about to lose for ever a piece of its rich medical heritage because of the whims of a politician. The Telangana CM K Chandrasekhar Rao recently ordered the demolition of the Osmania General Hospital located on the banks of the river Musi in Hyderabad on the grounds that the structure is falling apart. Rao wants multi-storied towers to replace the existing heritage building constructed in typical Osmanian style of architecture as part of a riverfront development plan a century ago. What the CM has forgotten is that the Osmania Hospital is not just another crumbling government health facility but seat of a 150-year-old medical institution which made remarkable contributions to development of medicine globally. 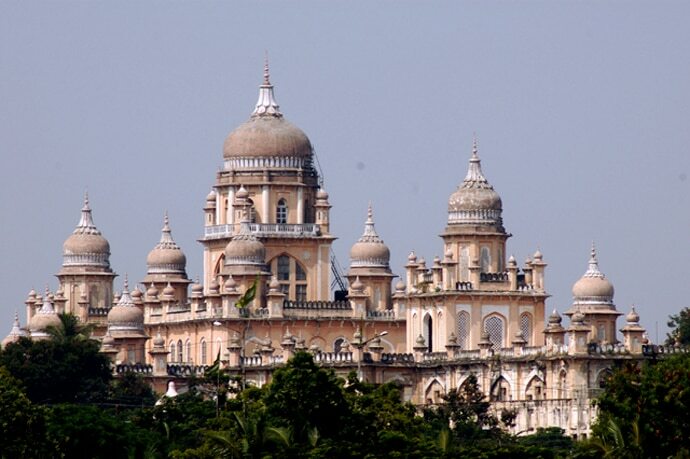 Modern medical education in Hyderabad began in the mid 19th century with the founding of the Hyderabad Medical School with Afzal Gunj Hospital serving as a teaching hospital, under the patronage of the ruling Nizams. Hyderabad Medical School is now known as the Osmania Medical College and Afzal Gunj Hospital was renamed as Osmania General Hospital when the present structure came up in 1925. While it is well known that India-born British doctor Sir Ronald Ross made his Nobel Prize-winning discovery on malaria in Hyderabad in 1897, few would know the contribution of Afzal Gunj Hospital to development of a critical branch of medicine - anesthesia. Surgeon-major E Lawrie - principal of the Hyderabad Medical School and also personal physician to the sixth Nizam, Mehboob Ali Khan - played a key role in establishing the efficacy of chloroform as an anesthesia through a series of animal experiments conducted at the Afzal Gunj Hospital. Another contribution of the Hyderabad Medical School was that it gave the world its first qualified woman anaesthetist Dr Rupa Bai Furdoonji in 1889, at a time when doors of leading medical schools in the UK and US were not open for women. A hurriedly done report to justify the decision to demolish the hospital, prepared by Jawaharlal Nehru Technological University (JNTU), warns that parts of the building may suddenly collapse due to deterioration of timber used. Debunking such suggestions, technical assessment carried out by the Indian National Trust for Art and Cultural Heritage (INTACH) has concluded that the heritage block of the hospital is in "a very good, structurally stable condition, without any threat to its life or that of its occupants", provided immediate steps are taken to repair and restore the building. "All the damage observed is mostly on surface of the building and is reparable. Most damage is due to poor maintenance and leaking pipes," pointed out Anuradha Reddy, convener of Hyderabad chapter of the INTACH. A proper conservation and restoration plan can be executed without demolishing heritage blocks in the hospital complex, the report says. "It is not just about heritage conservation or nostalgia, but concerns lives of people. Osmania is a key health facility of the state catering to eight lakh outpatients and 52,000 inpatients every year, besides being a teaching facility," said Dr Mohan Gupta, president of Osmania Medical College Alumni Association. He suggested that the heritage block should be repaired and restored, and be converted into an "emergency hospital", transferring other wings of the hospital to new buildings constructed elsewhere in the city. It is indeed possible to balance architectural aesthetics and functional role of the building as a safe health facility.